We love flying in Austin. Lake Travis and the capital building are our favorites. Aerial Photo Pro provides custom aerial images and aerial photos of commercial real estate, raw land, construction, industrial, and shipping-related property in most major and minor Texas markets including Dallas/Fort Worth, Waco, Temple/Killeen, Austin, San Antonio, Houston, the Rio Grande Valley (Mission, McAllen, Pharr/San Juan/Alamo, Weslaco, Harlingen, Brownsville, and South Padre Island), Corpus Christi, Laredo, Abilene, Lubbock, San Angelo, and many other smaller communities across Texas. Whether you need aerial construction progress photos, commercial real estate photos, aerial photos of your land development, industrial aerial photography or aerial photography of your shipping concern, Aerial Photo Pro is your best value for timely custom aerial images. 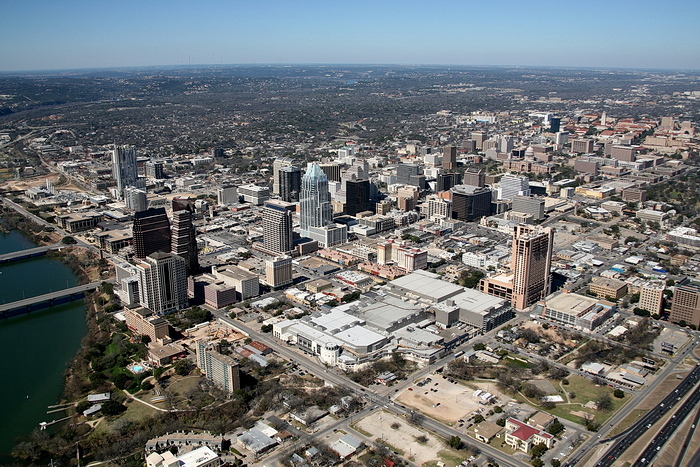 Aerial Photo Pro’s stock digital imagery of Austin, Texas is comprehensive and up-to-date. Call one of our Austin aerial photographers before scheduling a custom aerial photo shoot to see if we already have the Austin aerial imagery that you’re looking for. If we don’t have the Austin aerial images that you need, order your Austin aerial photos online and save. Our Austin aerial photographers are experienced and highly trained to capture the best Austin aerial imagery available and can provide you with the best value in Austin aerial photography. If you’re looking for the best in Austin aerial photography, look no further…Aerial Photo Pro’s Austin aerial photographers are your best bet for quality aerial photos of Austin, TX at the best price. Aerial Photo Pro’s Austin aerial photographers will make your commercial real estate, raw land, construction, industrial, or shipping-related property look better than the rest.